VINTAGE BUTTON KNOTTED NECKLACES, made to order, any colour combination, at £16 each plus p+p, gift boxes available. 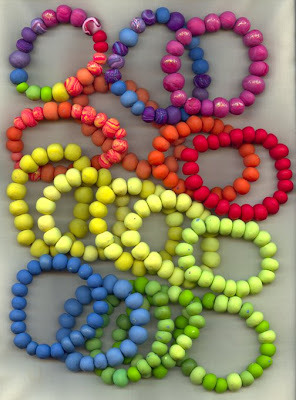 Next, an array of rainbow coloured BRACELETS, each polymer clay bead is handrolled and baked in the oven, then strung onto beading elastic, bracelets £5 each, any size and colour. 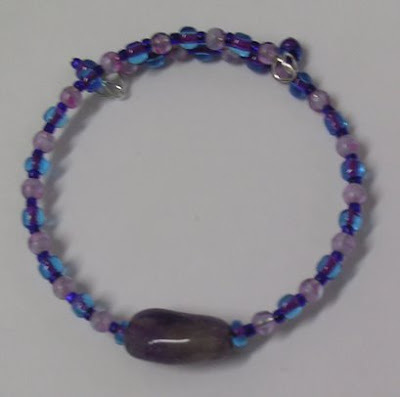 Here are 2 bracelets that Toby has made, glass beads on memory wire. He has made an agreement with a charity shop, they give him their broken bits and bobs, and in return he donates a couple of pieces of his jewellery for them to sell in their shop in aid of charity. These are the first 2 pieces, which he presented in lovely gift boxes ready for them to display, and hopefully sell! 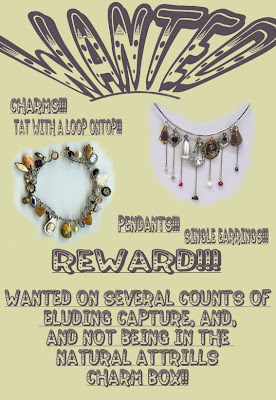 Many thanks to those of you who replied to Toby's 'Wanted' poster, and most especially to Caroline who sent him some lovely charms in the post, and to Cat who sent some beads. We probably wont be blogging for a couple of weeks, so dont worry if you dont hear from us, no internet access. Toby and I are going to the sea for a while, and also visitng my Dad who is in hospital. Laurence will stay here with Des. We look forward to coming home to lots of comments from you all, especially from all you lurkers!!! Many thanks to everyone who has answered my call for charms. Just wanted to say, that as this is for my recycled range, I dont want to use anything new. I am happy to pay you, but i would like secondhand charms or old pieces of jewellery that i can adapt and reuse. My recycled / vintage charm range has been selling really well, and even after going round most of the charity shops within 12/13 miles of my house, i can't seem to find any more charms! The above pieces of jewellery are the most recent in my vintage charm range. 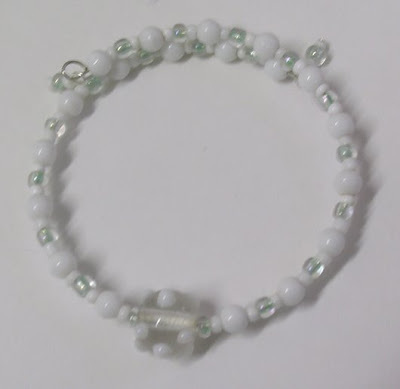 The 1st is a phone charm made with and old earring which had flaking plastic faux pearls, i have replaced them with brightly coloured glass beads. 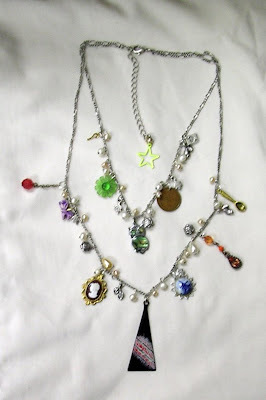 The second is a pendant necklace made with an old curtain ring, various vintage charms, and reclaimed beads. The 3rd is a 2 strand necklace. I have taken the main pendant, and little tag next to the clasp, which said 'Avon' on it, and attatched a range of various vintage (inc. delft) charms, a plastic pegasus bead and a 1970's half penny. The last is a pair of earrings. 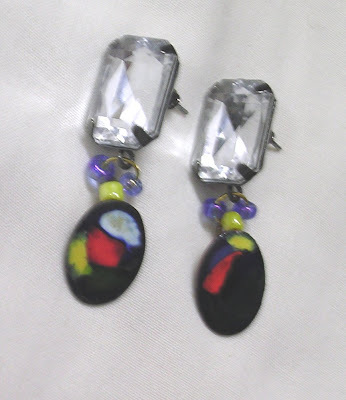 I used a pair of chunky diamonte studs as the top half, and a pair of 1970's handmade enamel ones and some beads as the bottom half, to create a whole new pair of earrings. I have run out of charms - Please can you help? 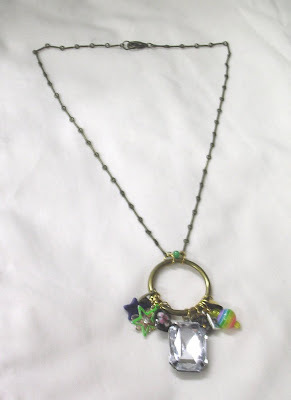 If you have any old and unwanted charms or pendants, or lonely earrings, i would be happy to buy them from you. 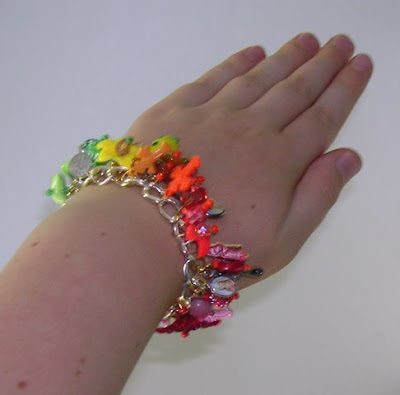 They don't have to be special, just anything i might be able to use for my recycled jewellery. If you have any please contact me for my postal address at info@naturalattrill.co.uk . A clip charm can be made in any size, to fit a bag, a zip on your jacket, or maybe to clip onto a keyring. 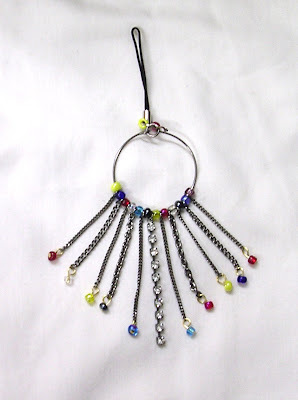 Similar designs also work as mobile phone charms. 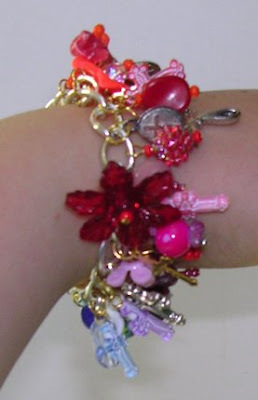 A rainbow of vintage charms and beads, a bracelet, to go with Crosskitch necklace.